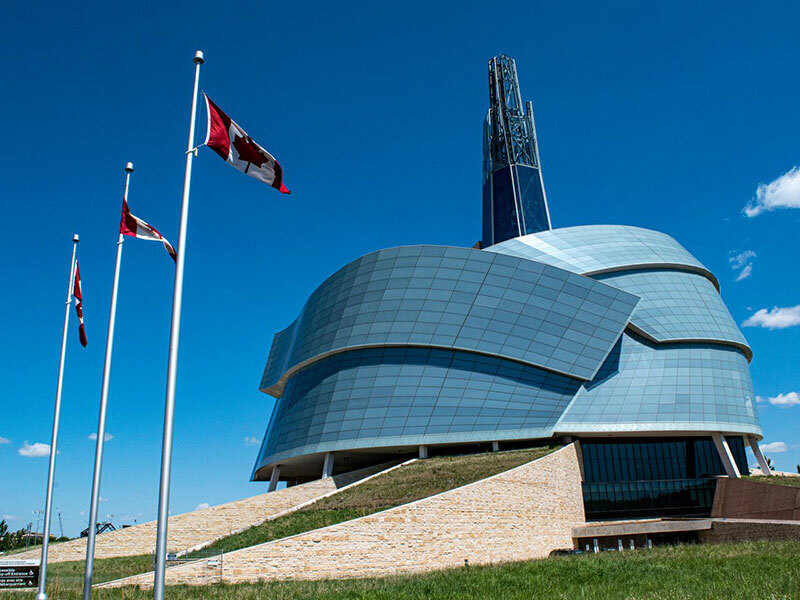 Even though it’s one of the newest icons in the city, CMHR has solidified its landmark status. Before you journey into the museum’s underground entrance, step back and marvel at the curved slopes and the unusual angles of the Cloud, made of 1,669 custom-cut pieces of glass. 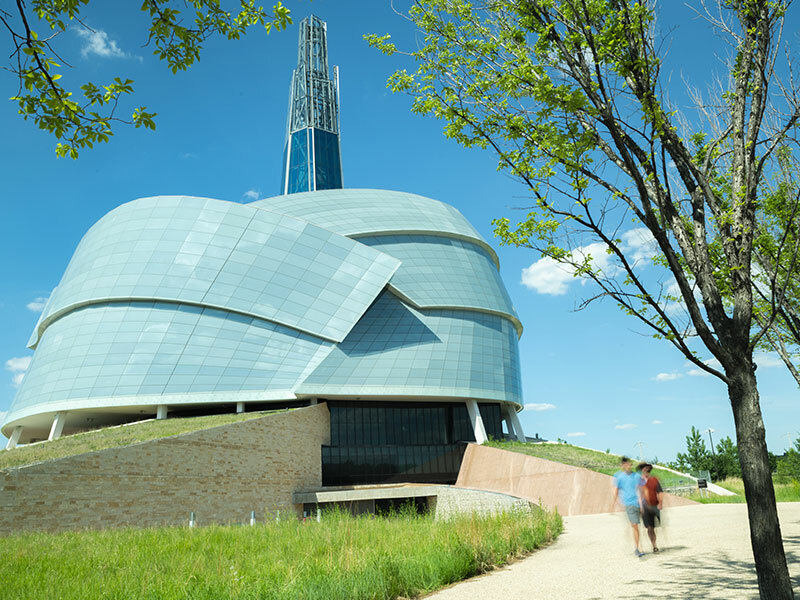 Step inside and reflect on the multi-sensory exhibits exploring human rights concepts, wind your way up the lit-white alabaster ramps until your journey culminates in the glass Tower of Hope, providing a panoramic view of downtown, The Forks, and St. Boniface. This building, while important to the political process, offers more intrigue than any other structure in the city. 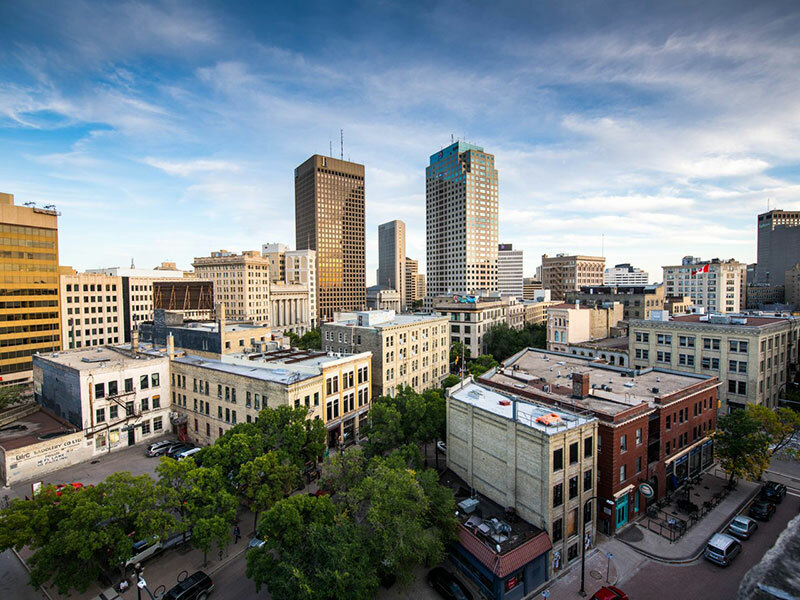 Start by touring the outside of the building to see what ancient symbols and figures you may be able to spot - including a big, golden one right at the top, which is arguably Winnipeg’s best known emblems. Inside you’ll find more hieroglyphic inscriptions, numerological codes, and symbols hidden throughout the architecture. For an ethereal experience, stand in the Pool of the Black Star, the Legislative’s perfect acoustic focal point, and make a statement. You’ll be surprised at what you hear. 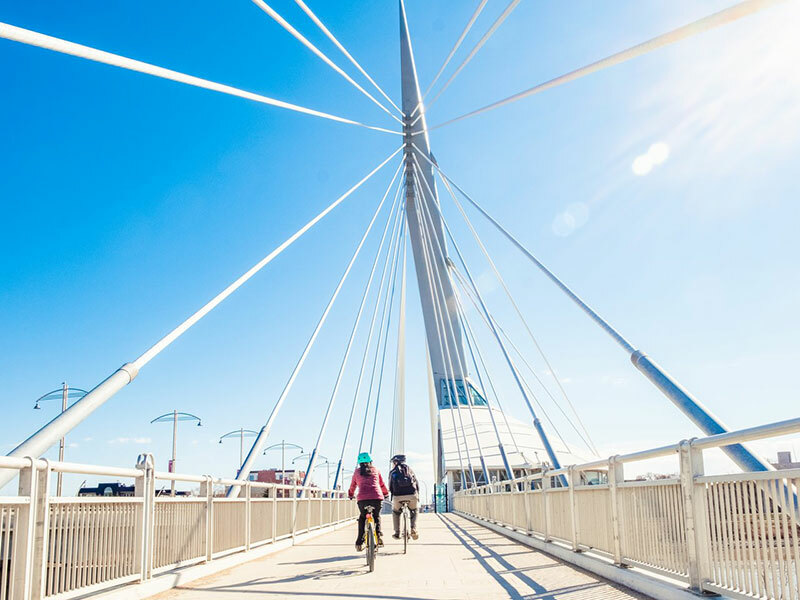 As one of the most recognized visual symbols in Winnipeg, the Esplanade Riel is truly about connectivity. Cross from downtown and The Forks into the city’s French Quarter along the 250-metre long pedestrian portion of this iconic bridge, stopping to admire the imprinted patterns representing the diversity of Winnipeg’s cultural origins. Come together under the bridge’s spire to pair views of the river with the approachable French cuisine of Mon Amis Louis Brasserie. 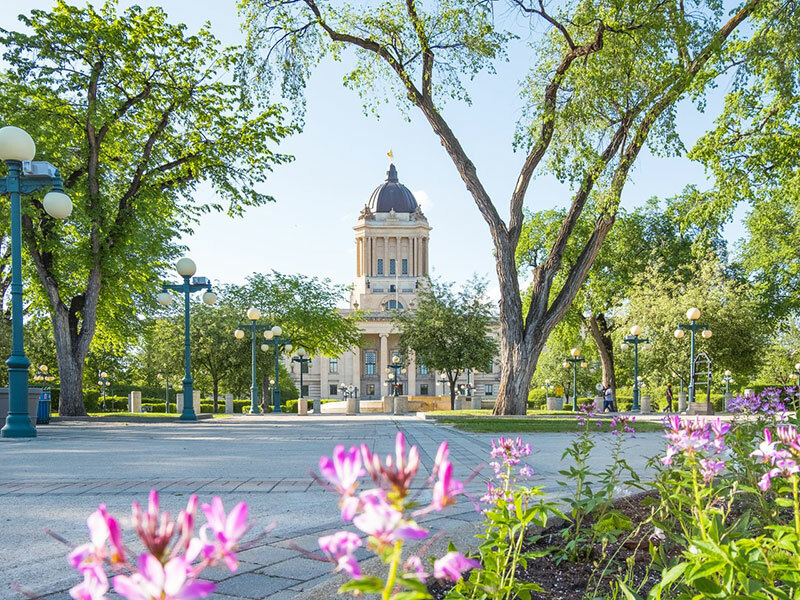 Use this north Winnipeg greenspace for picnics, strolling along kilometres of paths, or just relaxing under the shade of the trees – but don’t lay down for too long, because there’s plenty to see. Step into the world of the Brothers Grimm at the Witch’s Hut and trace the sequential scenes of Hansel and Gretel along the terracotta panels. Stop in for a locally inspired lunch at the Peguis Pavilion while watching ducks glide across the outdoor pond. Come during a summer evening to catch a musical theatre performance at Rainbow Stage, Canada’s largest outdoor theatre. You’ll get your money’s worth out of visiting the building that produces every single Canadian circulation coin. Stop in when the sun hits the glassy, triangular tower which gains a copper glow, reflective of the shiny coins that are being produced inside. Book a guided tour through the interactive coin displays, try lifting a bar of gold (it’s heavier than you’d expect), and watch as thousands of coins are produced in the high-velocity, state-of-the-art production facility. 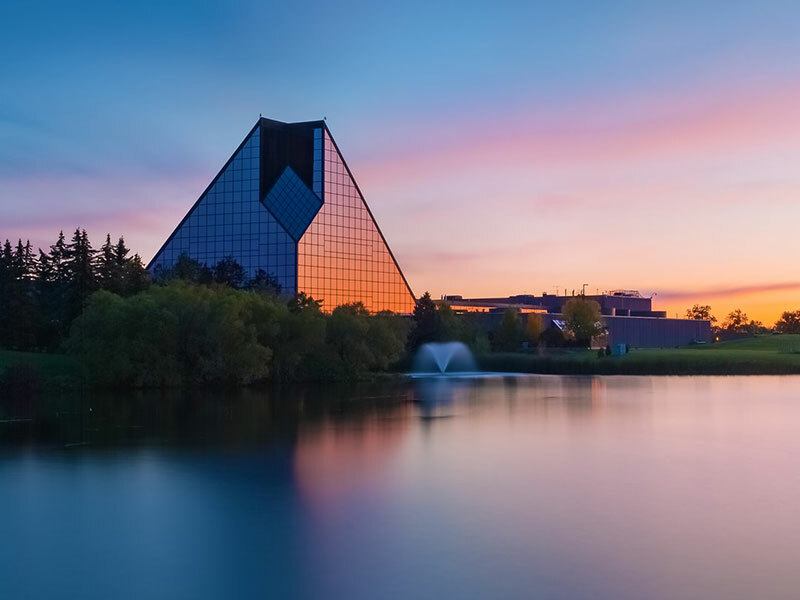 Everyone visits this Winnipeg star attraction for one reason or another. Maybe it’s to watch a live performance at the Lyric Theatre in the summer, or to skate on the frozen duck pond in the winter. Maybe it’s to see a real Leo Mol sculpture firsthand, or come nose-to-nose with one of the Assiniboine Park Zoo’s resident polar bears. Or, maybe it’s just to reconnect with nature along the abundance of trails, gardens, and greenspace. 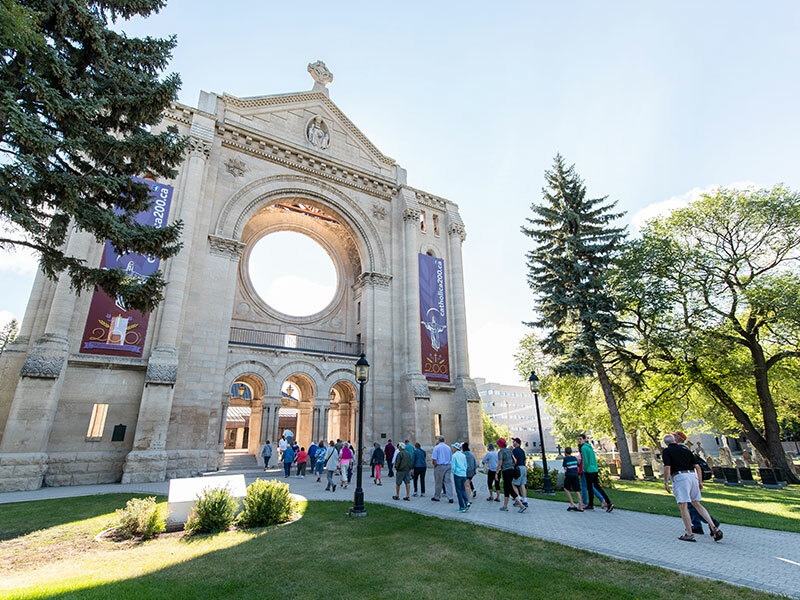 This is a must-see stop when you’re visiting Winnipeg’s quaint French Quarter. 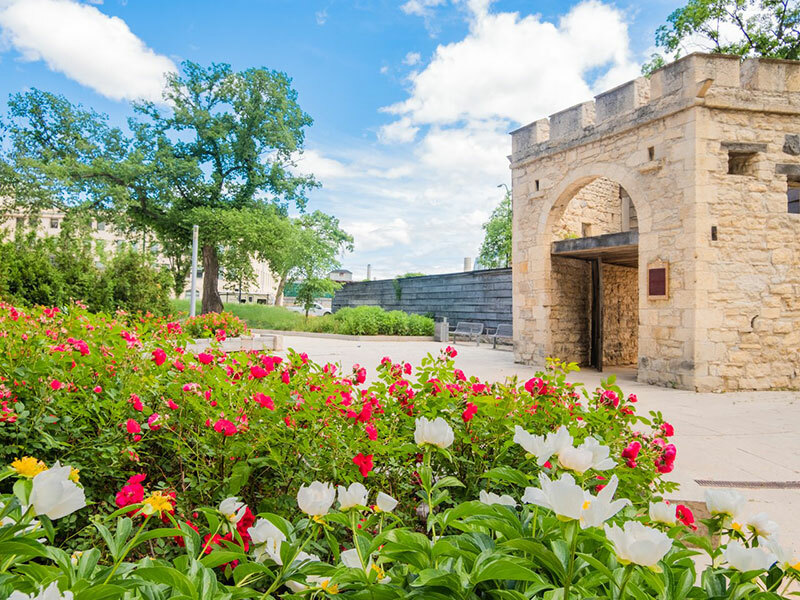 Take a close look at the dramatic limestone façade, the only remaining portion of the original 1906 version of the structure, which still features detailed floral motifs after all these years. Here you can also learn about Métis leader Louis Riel who is considered to be a founder of Manitoba and is buried on site in Western Canada’s oldest Catholic cemetery. 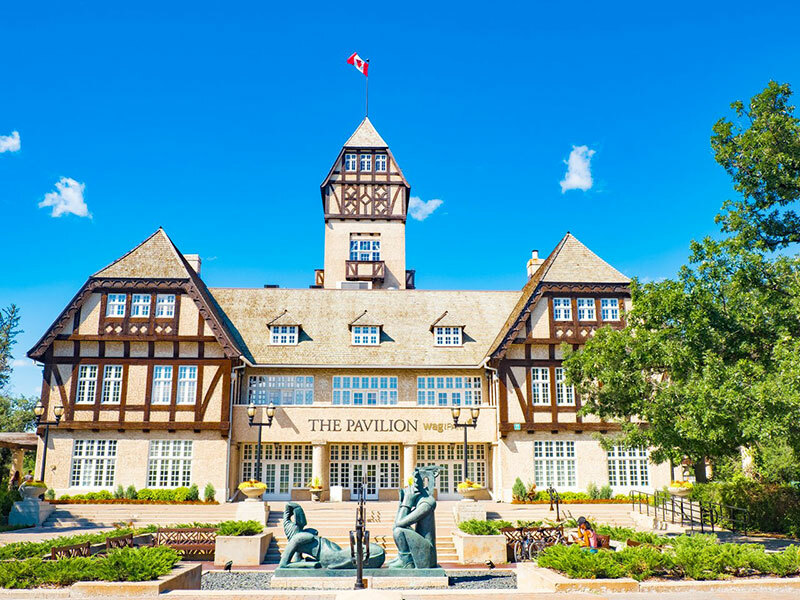 Spend the afternoon wandering the 20 blocks of this unique area that combines heritage buildings with the trendiest tech start-ups, art galleries, restaurants, and shops. The warehouses, banks, and first Canadian skyscrapers will have you eager to learn about the area’s past – which includes being the epicenter of Winnipeg’s 1919 General Strike - while The Cube, a stage/art installation hybrid, brings a modern flair to the District as the epicenter of many live performances and festivals throughout the year. It’s been a meeting place for thousands of years, so naturally people are drawn to this historic site. 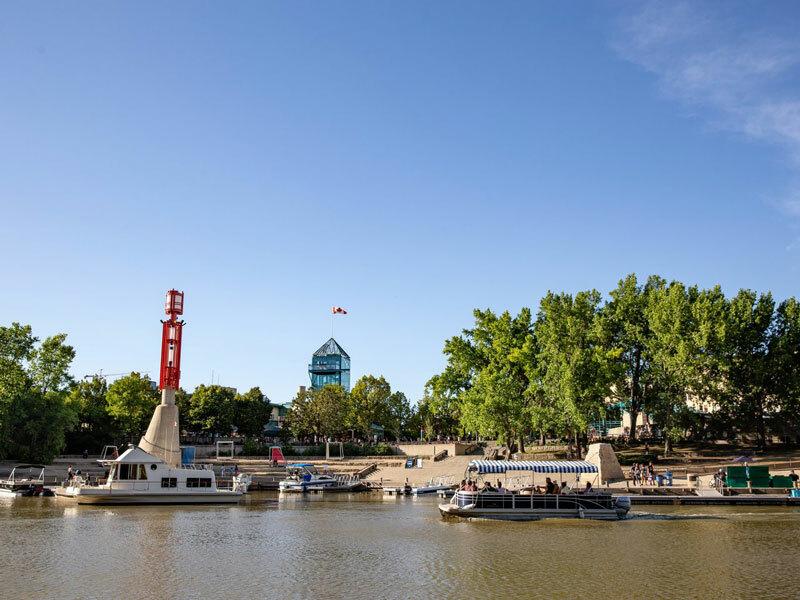 Traverse the trails that run throughout The Forks and along the river’s edge, sit inside the Oodena Celebration Circle, or take a boat tour to see it all from a different perspective. The kids will get excited for attractions like the Children’s Museum and Manitoba Theatre for Young People, while gourmands delight in pulling up a chair at the shared tables in The Forks Market’s food hall. Upper Fort Garry National Historic Site is one of Winnipeg's newest attractions, one which is located at one of its oldest sites. 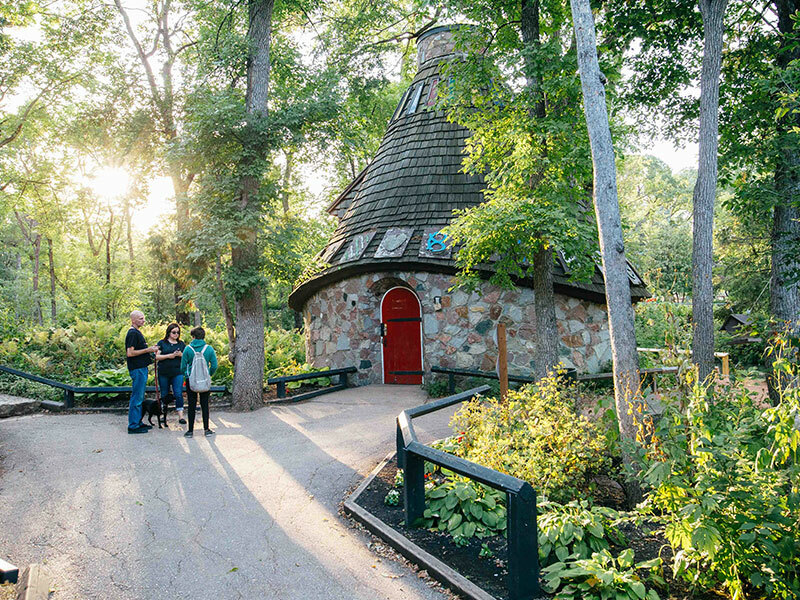 Its circa-1850s stone gate is perhaps Winnipeg's oldest still-standing structure, while within this provincial park you’ll now find a new interpretive wall that is Canada’s largest free-standing public art installation. This 440 foot long weathering steel wall depicts the history of the region and Western Canada, from Indigenous, Metis and fur trading history, to the Red River Colony’s entry to Canada, to the present day and the development of the north. The wall also features daily sound and light shows that depict a Metis bison hunt, while an interactive app (available as a free download) teaches about the history of the region in creative and interesting ways.